This room is available free of charge for private functions. 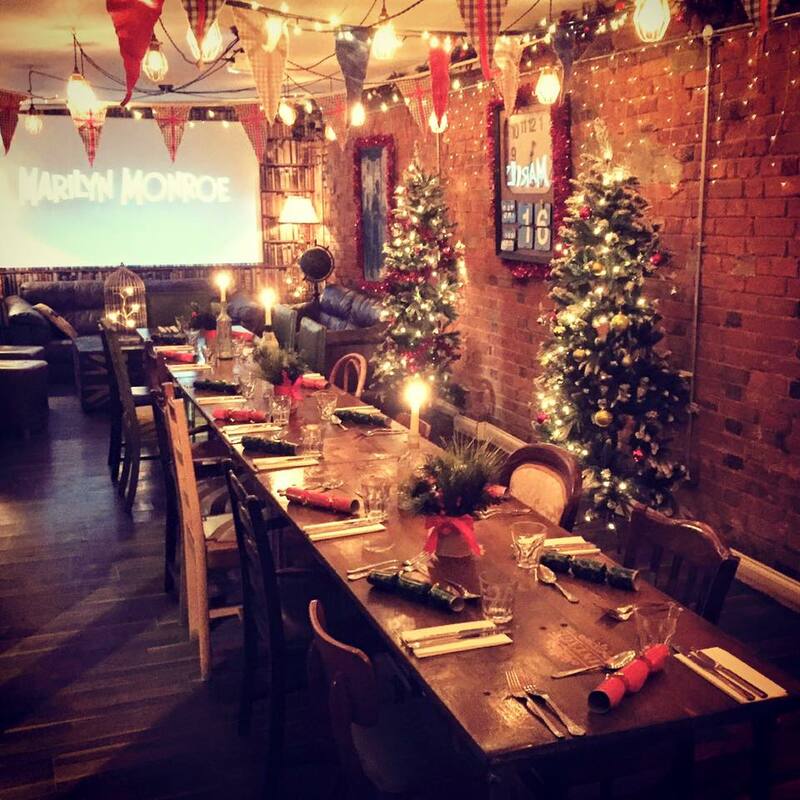 For a Friday or Saturday booking we require a minimum of 30 guests to qualify for free hire. The room holds 50/55 guests (standing). We can also include a private section of the garden so you can have up to 70 guests. We require a £150 deposit to confirm a booking. Your party can start anytime and will finish at 12.30am Thur-Sat and 11.30pm Sun-Wed (the bar will be serving up until that time). Music will have to be turned off at 12.15am and 11.15pm respectively. We can provide a buffet, or sit down meal (max 32). The menus are attached. We are very flexible with the catering so please let us know if you have something else in mind or wish to work to a different budget. 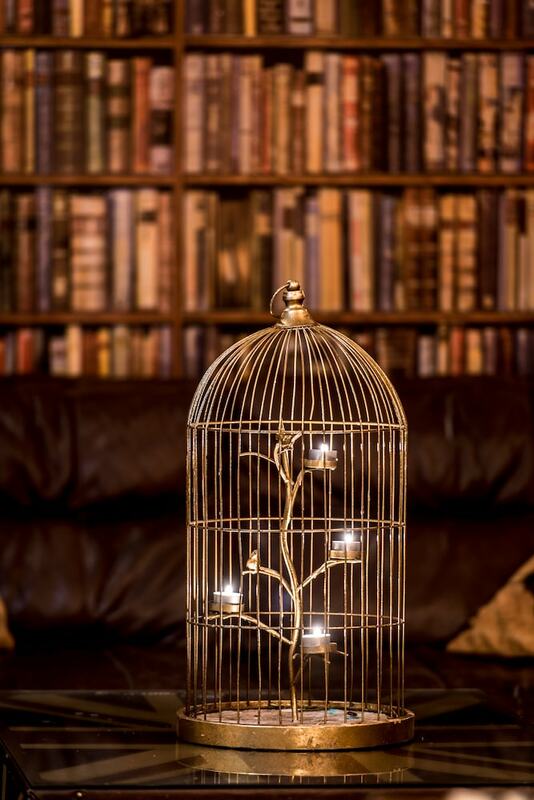 We can arrange for welcome drinks which will be chilled in the ‘Vintage Room’ ready for when your guests arrive. 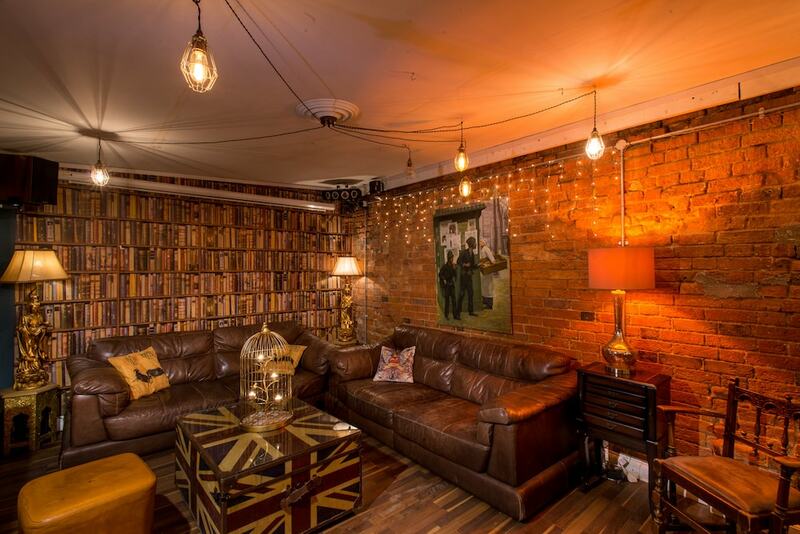 The ‘Vintage Room’ does not have its own bar so your guests will have to use the main bar to purchase their drinks. We can also include a private section of the garden so you can have up to 80 guests. We require a £150 deposit to confirm a booking. Your party can start anytime and will finish at 12.30am Thur-Sat (the bar will be serving up until that time). Music will have to be turned off at 12.30am. 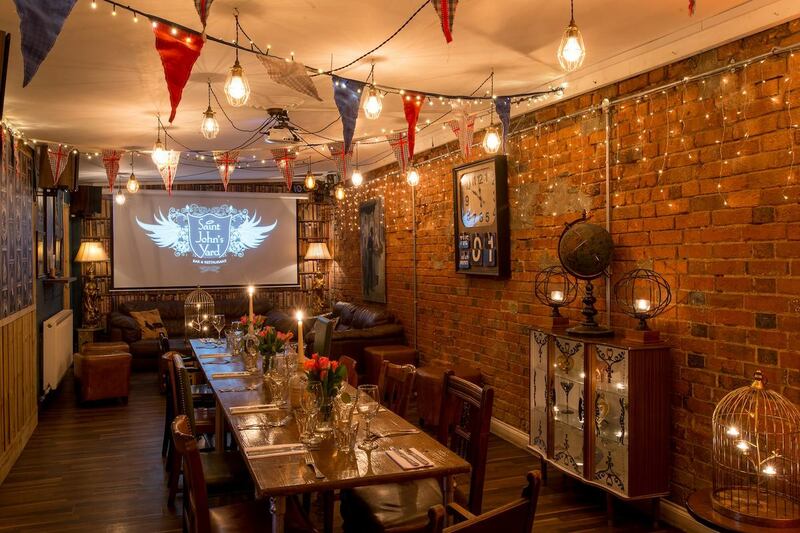 For further information about hiring our Vintage Room please see the party brochure. Our newly launched food menu focuses on what we love most - good wholesome food, packed full of flavour and letting you relax in style. 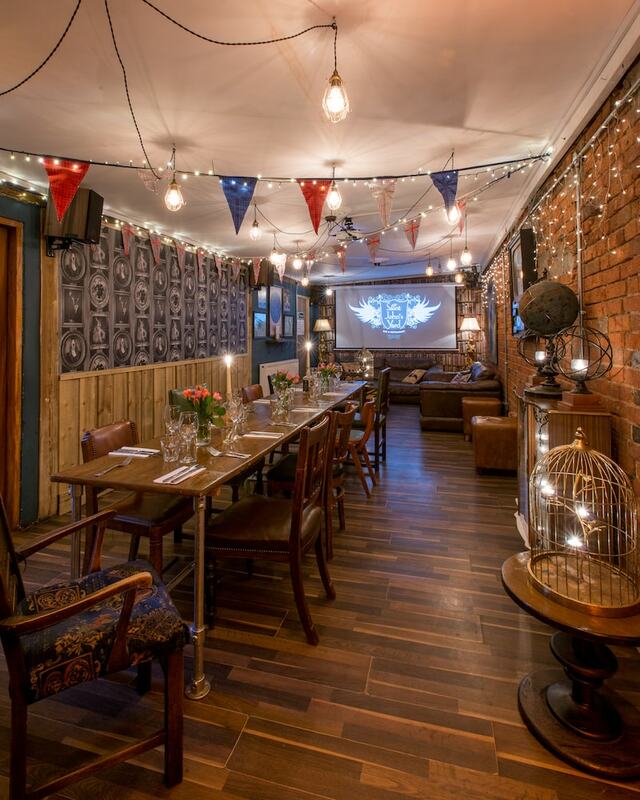 The Yard is the ideal venue for private functions, whether with friends or business colleagues. 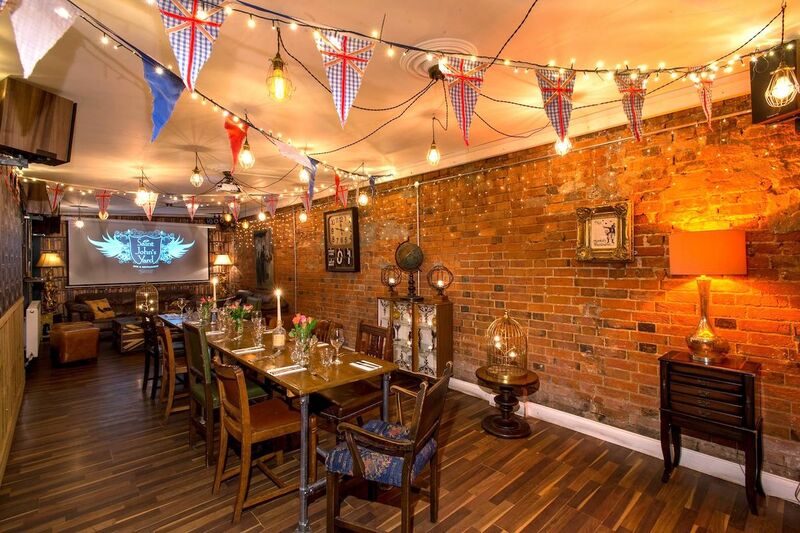 We now also have our Vintage Room available to hire. We love having special events at Saint John's Yard, from beer festivals to themed entertainment evenings like our 90s night! We've got a lot in the pipeline! We love to hear from customers, whether it's to enquire about a booking, to ask what's coming up or simply to say hello! So if you have anything to say, drop us a line! © Saint John's Yard 2017. All Rights Reserved.